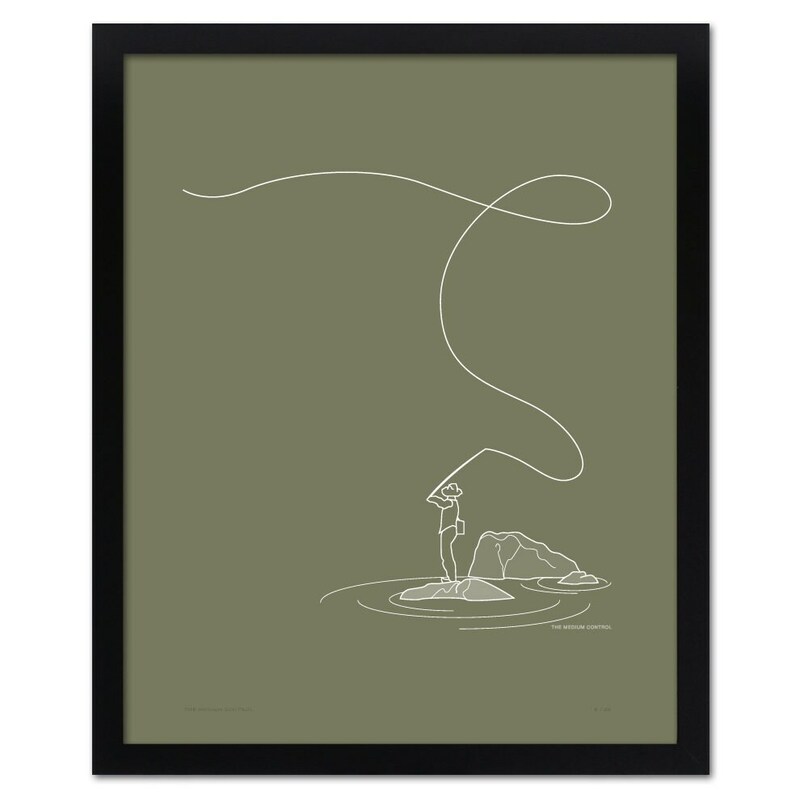 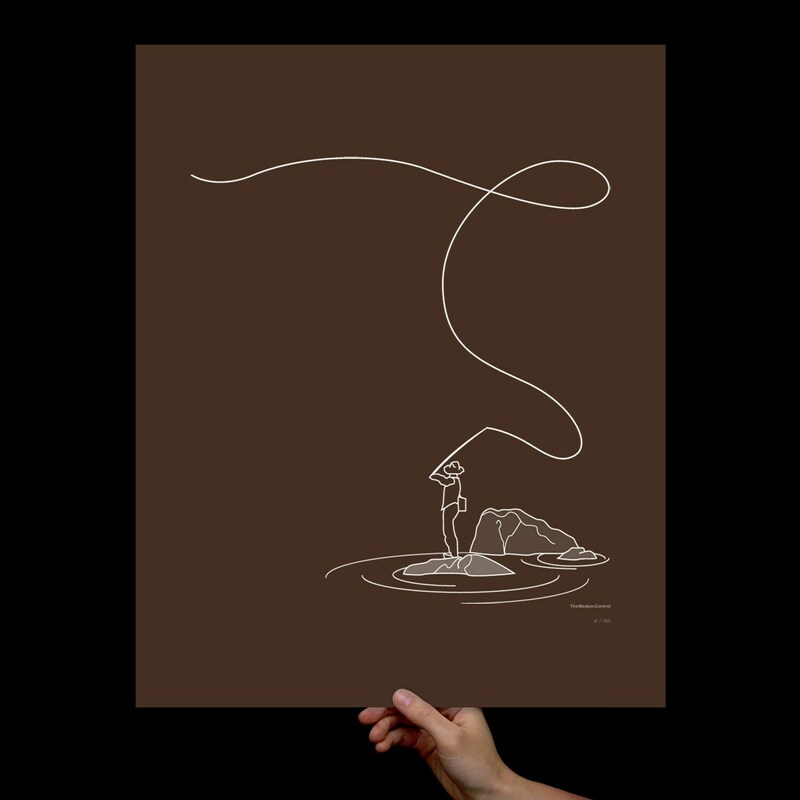 "Fly Fishing" Art Print for your Home! 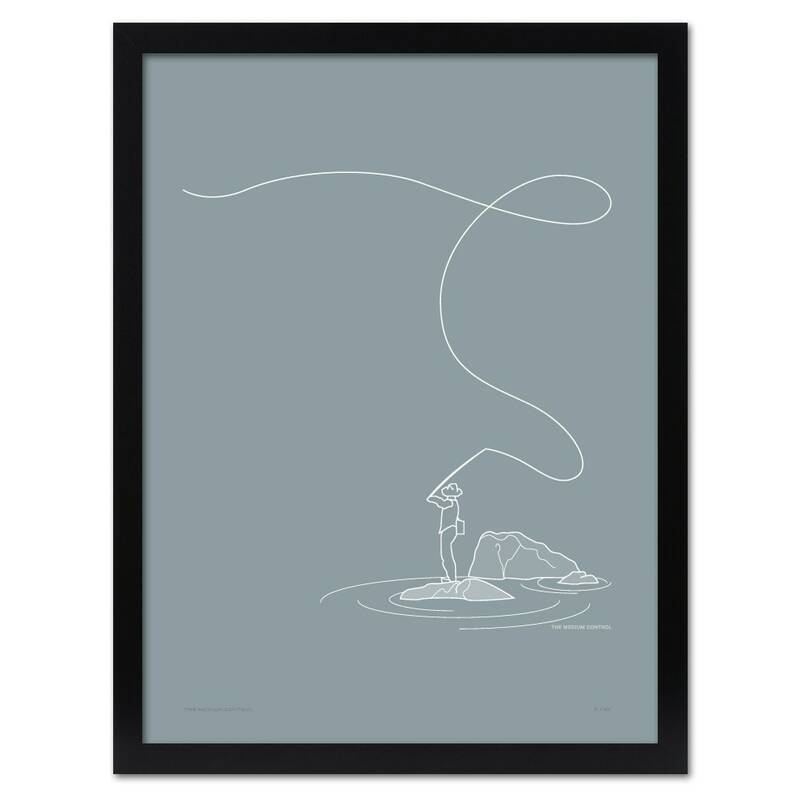 Stunningly Simple Fly Fishing Print; Limited Edition; Signed & Numbered; Size: 16x20"; Sized to fit perfectly into a standard 16x20" frame. 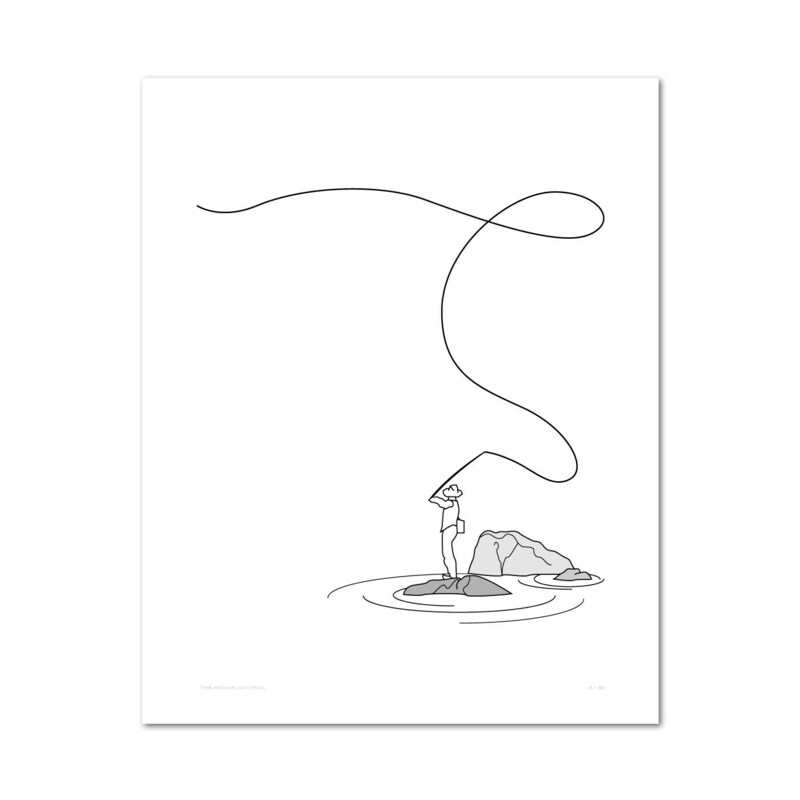 Shipping: Carefully rolled in a plastic sleeve and shipped protected in a heavy duty kraft tube. 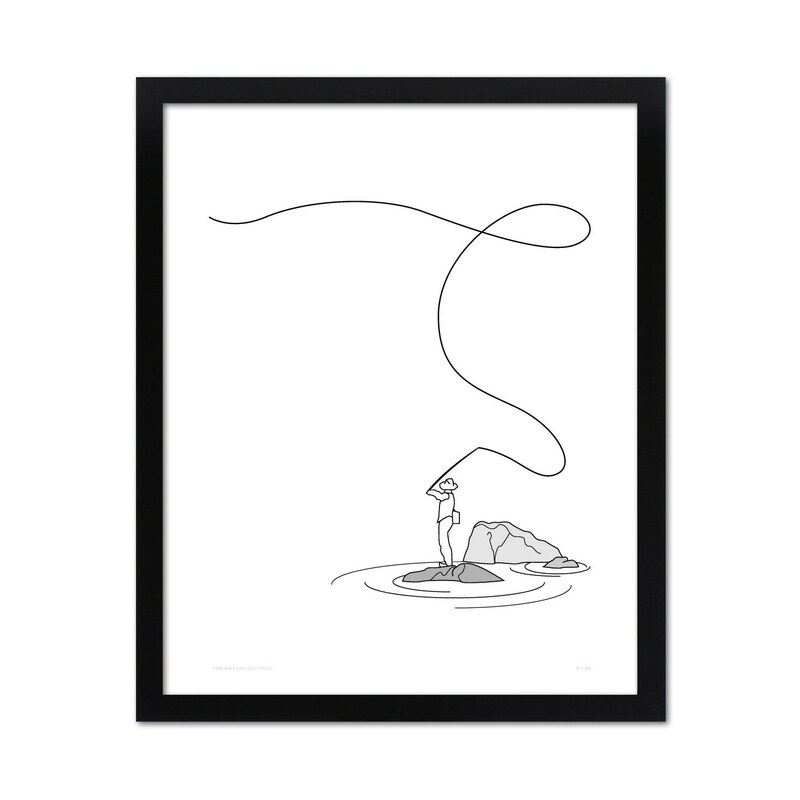 Each print is signed and hand screen printed by the designer, Tommy Kronquist. Screen printing or silk screening is a traditional printing technique where a squeegee is used to press ink through a screen stencil, one print at a time. 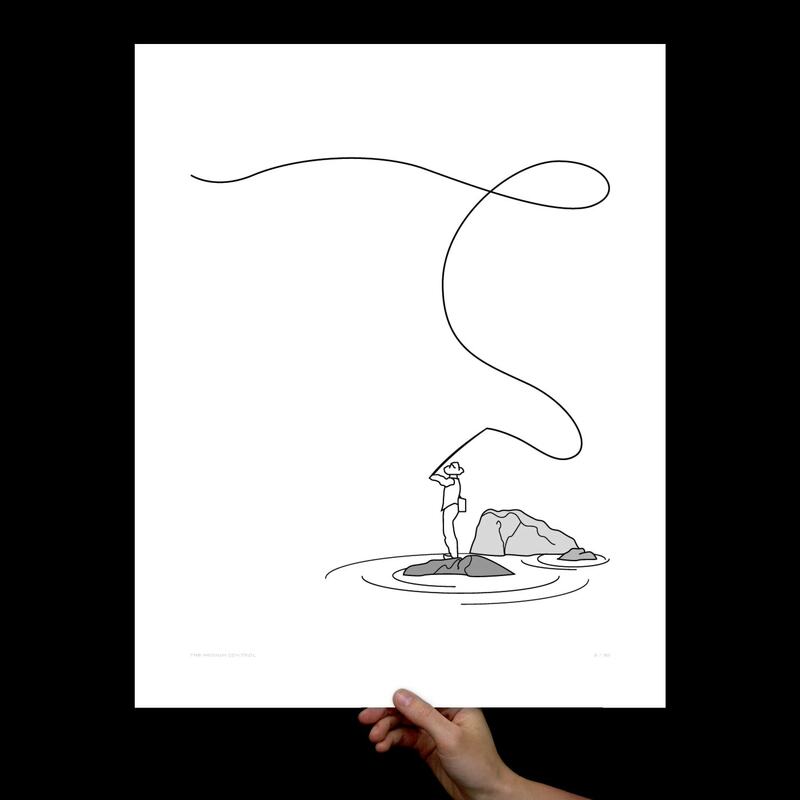 Every print is individual and uniquely created with painstaking craft. From beginning to end, it can be a laborious process but an art-form that allows us to create a true piece of handcrafted art.